Since I am about to go back to work, move states and start a new life, I thought I might write a little about what the past five years have been like. I being with the subject of fat. My own and how I lost some. In 2007 I weighed approximately 270 lbs. Chunky? Yes, but I wore it well. However, during my first term at Moody Bible Institute I was forced (I should say required by my degree program) to perform an unsightly task - running. I ran one and a half miles in fifteen and a half minutes. During "Lifetime Fitness" class I got used to a little running, some weightlifting and dietary monitoring. At some point during the semester we were all asked to write down our fitness goals to be completed by the end of our four years at Moody. Our coach, Coach Harding, told us not to write anything too ambitious, or silly, like "run a marathon." I wrote "run a marathon." In 2009 I ran the Chicago Marathon in four and a half hours. I have not stopped running since. During my final semester I ran a mile and a half in nine and a half minutes. 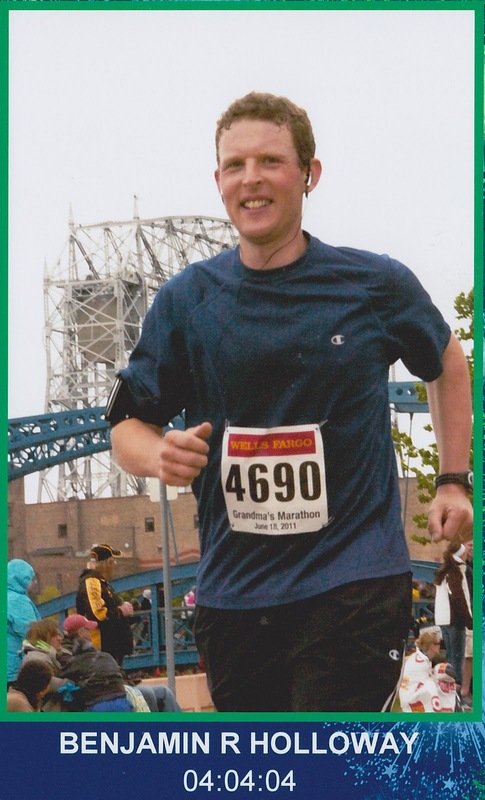 After I graduated I ran in "Grandma's Marathon" in Duluth and achieved the perfect time (in a symmetrical, aesthetic sense) of 4:04:04. My fastest five K is 22:04 and my fastest half marathon is 1:46:11. I now weigh a little over 200lbs and run between thirty and forty miles every week. Shaping the body is all the rage in the West. But what my coach taught me, above all else, is that character is what needs to be shaped. As I ran, shed the pounds and shaped the body, I knew that God was shaping me, disciplining me, molding my character. Anybody can run off weight, diet a bit; perhaps most people could, if they put their mind to it, run a marathon. But only God can transform a character into the image of his Son.